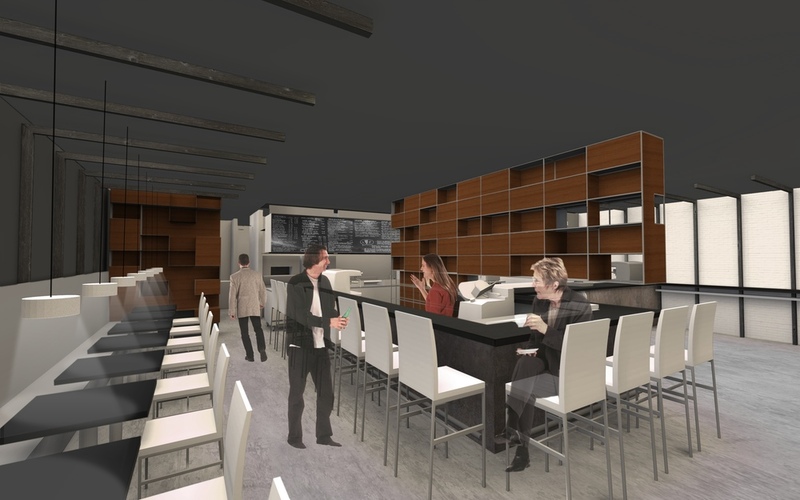 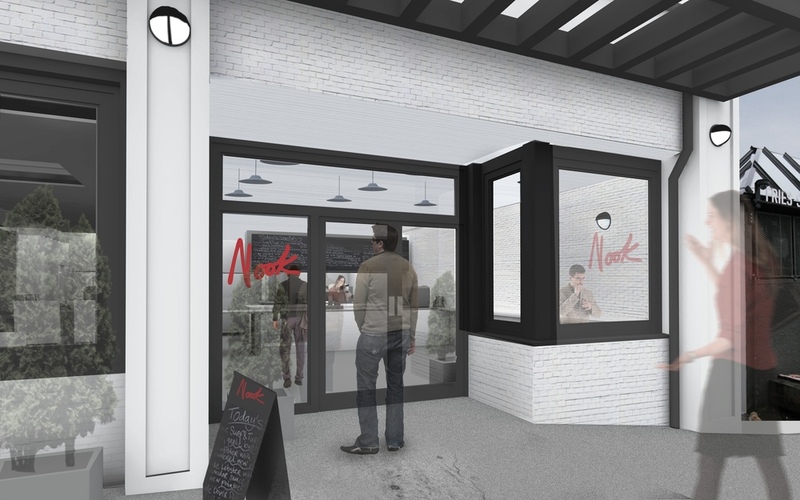 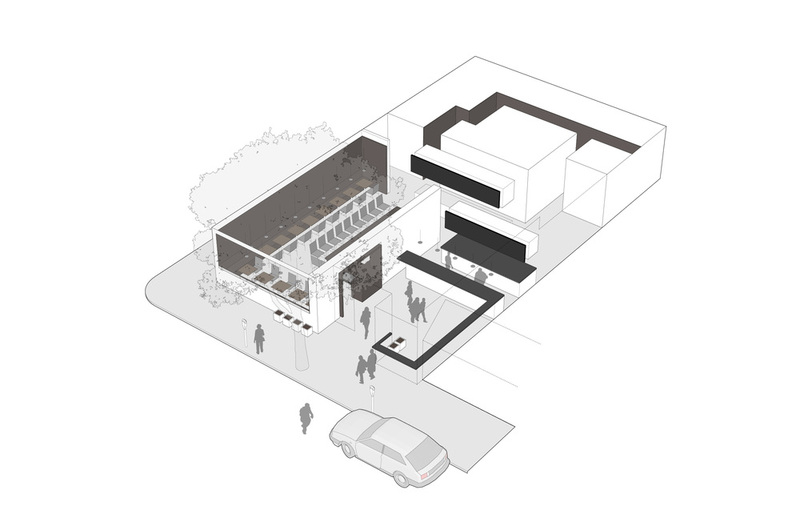 Nook Restaurant, which specializes in pizza and Italian-inspired cuisine, will occupy a renovated building shell near busy Kitsilano Beach in Vancouver. 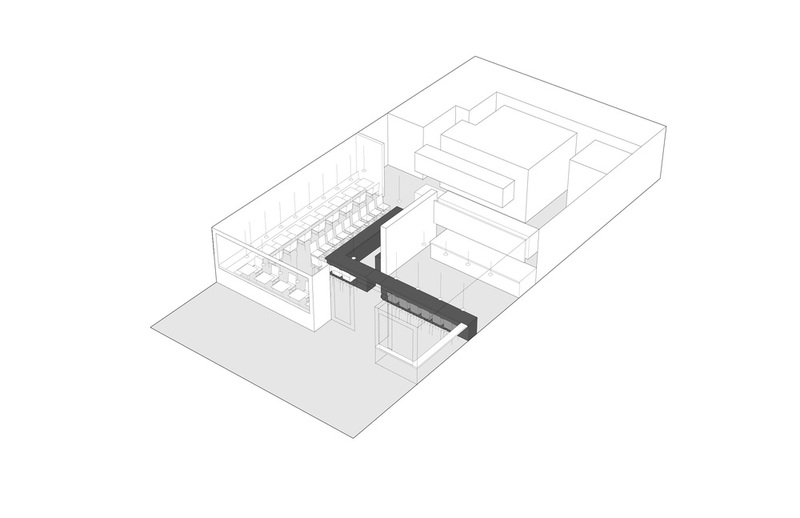 The space is divided to allow two complementary functions: a traditional sit-down dining room, and a short order take-away counter. 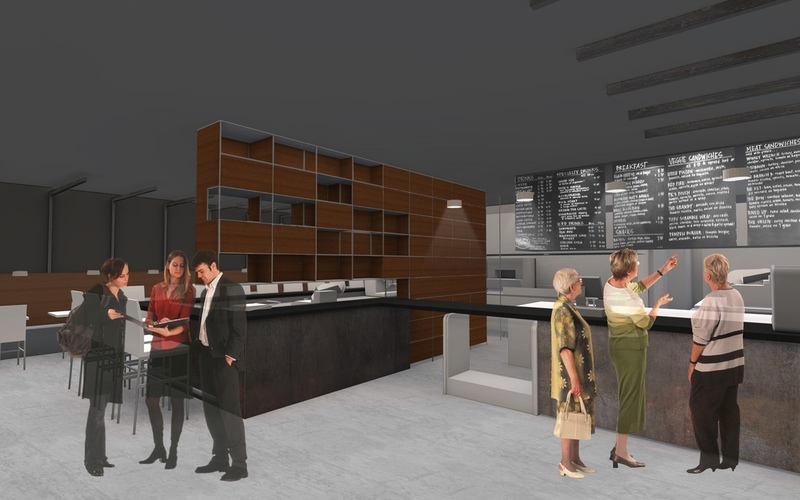 A screening wall of storage and display separates them.